This trip was arranged to coincide with the Australian Youth Sailing Championships held at the Royal Yacht Club of Tasmania [RYCT] which were sponsoring. As it turned out there were several other regattas on in the area around the same time. These included The International Cadet Dinghy World Championships, the 420 Australian Championships and the Optimist Australian Championships. Then there was the finish of the Rolex Sydney Hobart for which I have been the Race Official on the Southern Line for the last 6 years. The Farr40s also held their Championships with three Sydney boats making the trip down to Hobart. The Derwent River was the place to be in January. 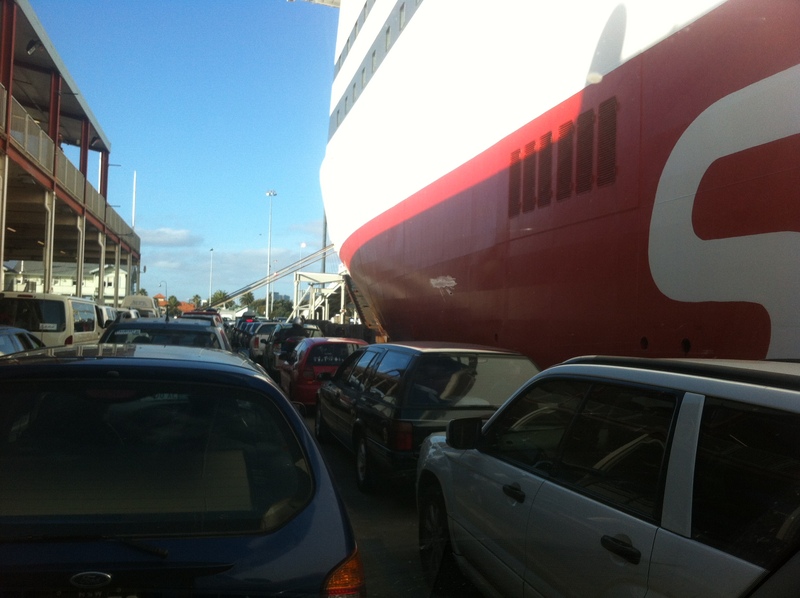 In recent years I have been flying down, however with all that was happening, it was an opportunity to pack the van and do the trip on the ferry, Spirit of Tasmania with plenty of product. I also had a couple of tables and a marque for the youth champs, so the DeckHardware van was pretty full. The first week was spent at the Derwent Sailing Club [DSS] supporting the 420s with the DeckHardware van. It was as it turned out, to be quite a busy week due to the conditions. For the greater majority of the time spent in Tasmania, it blew. More often than not over 30 knots! Whilst the competitors were on the water for the 420s, I was able to get around visiting the other events and seeing the chandleries in Hobart, Kettering and Franklin. Then it was back to the DSS in the afternoon to help the competitors with various bits and pieces. It made for some long days as I generally arrived at the club around 0730 and didn’t leave till 1800; this was to be the pattern for the two weeks there. I only had the opportunity to get out on the water to spectate on two occasions, my hosts in Hobart Roy and Dianne have a Jeaneau and were able to host me and a couple of the parents that are old friends and crew mates. With the excellent support of Allen Brothers in England, DeckHardware were sponsors of the Youth Sailing Championships next door at the RYCT. All the skippers received an Allen backpack and DeckHardware stickers to apply to their booms upon registering at the RYCT. Several parents were noticed wearing the bags, they liked them so much. During the week, it was interesting to see the bags scattered beside the boat covers and dollies on the rigging grass, I think they were well received and put straight in to use. Allen also supplied a range of product to be presented along with the trophies at the presentation dinner, which DeckHardware added to with a range of other products including JDC, Liros, TBS and Protect tape. Once again it was full days helping the competitors, I also had those from the Cadets come and see me as well, once the word was spread around that the DeckHardware van had a range of product available to suit. Once the regattas were over it was the drive back to the north of Tasmania, where before returning home I saw another major Tasmanian chandlery in Launceston. Unfortunately the sparmaker next door was away on holidays at the time. It was a full couple of weeks and I took the time to do my first trip to the top of Mt Wellington [1270m/4000’] which dominates the skyline to the south west of Hobart. Many of my friends have told me that it can be cold and windy at the summit and windy it was. Once I got over the vertigo of the drive the view was spectacular. I was glad to do the drive up in summer as a couple of days later several others in town for the regattas went to the summit and just about froze as there was a little frost and ice! Some may have seen reports of the fires in Australia, Tasmania was not spared and a large area of the state was destroyed. Many of these fires were visible from the Hobart waterfront. 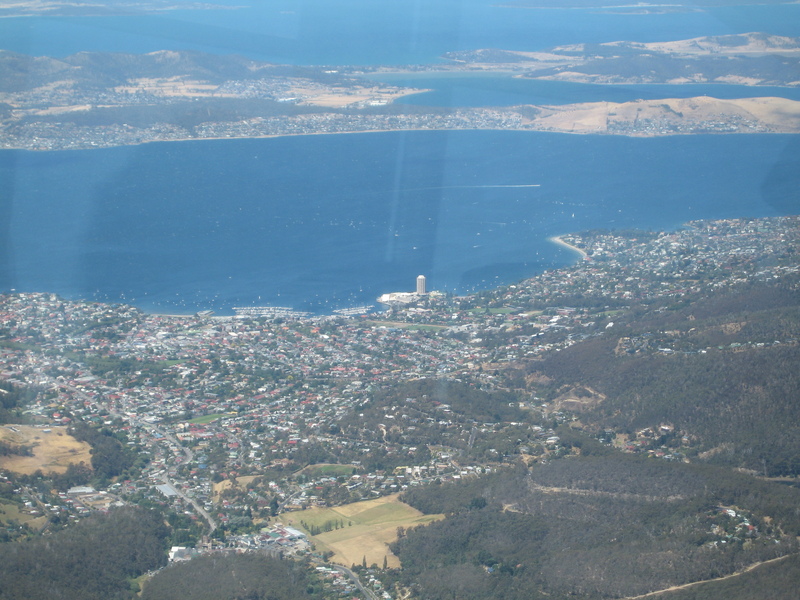 I experienced the extremes of Hobart’s summer weather; I can claim to have been in Hobart on the hottest EVER day in history – 43.8c and then there was the day when the temperature didn’t rise much over 16c. My thanks go to Roy and Dianne Barkas for hosting me for the couple of weeks in Hobart. As with all of my interstate trips, it was great to have the support of our friends. I have posted photos of the events on the DeckHardware facebook page and in the coming weeks gradually add more.